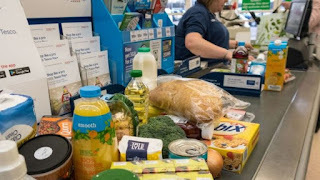 Falling petrol prices and a slower rise in the cost of food contributed to a drop in UK consumer price inflation during February. The rate fell from 3% to 2.7%, the lowest figure since July 2017. The fall eases pressure on the Bank of England to raise interest rates. There had been speculation it could raise rates at its meeting in May. The figures suggest the squeeze on households, caused by rising inflation and stagnant wages, may be ending. The ONS will publish the latest pay growth figures on Wednesday. Economists expect those figures to show pay growth edged higher, to an annual rate of 2.6% in the three months to January. And the situation could improve further this year, according to the Bank of England. It expects wages to grow more quickly than inflation.